From producing credible one-on-one interviews with Investment Managers to creating highly polished corporate marketing videos, our comprehensive rich media production service will deliver a quality production to suit your needs and budget. 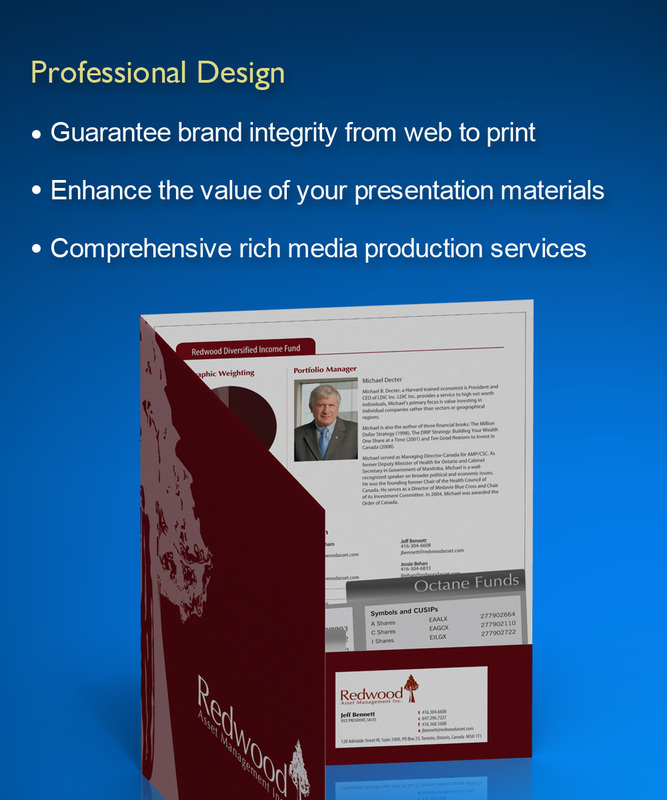 An effective way to enhance the overall value of your presentations and collateral materials. We can help you strengthen your corporate image through innovative creative design and effective use of new media. We consider Shrinking Planet to be an important strategic partner for our marketing and client support services. For over seven years, the Shrinking Planet team have consistently proven themselves to be innovative, courteous and professional. We look forward to continuing to grow our business together and are confident that Shrinking Planet will there each step of the way.